This is the best mosquito lamp you can buy at this moment. The lamp has a unique way of operating, that is very attractive to female mosquitoes (the male ones don’t bite). The female mosquitoes are continuous looking for blood donors. They find their pray (human or animal) by going for the carbon monoxide (CO2), which we all exhale. Due to this mosquitoes can even find us in the dark. 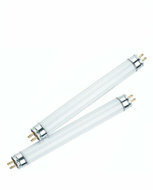 In addition to that, mosquitoes are also attracted by warmth and ultra violet light. With this mosquito lamp you no longer are disturbed by annoying singe smell or crackling sounds. This is because the mosquitoes are not electrocuted, but shriveled, after which they can simply be removed from the catch tray. Watch out! 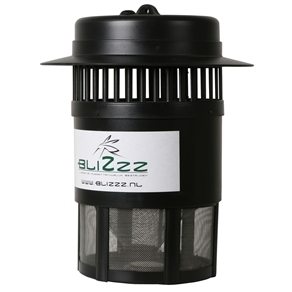 The BliZzz Mosquito Trap has a European plug.